Holi is just a day away and I look forward to all the gorgeous colors that shall be used to celebrate this beautiful festival. Friends and family will rub each other’s faces with gulal and abeer. Oh! Talking about face and hair, I hope you will be following all the beauty tips and tricks to make sure that by the end of it, you don’t have to go through dermatological nightmare! Even though organic colors are safe to play with, however, having said that, it is advised that you still take precautions. But, hair and skin isn’t all that is under the scrutiny of these colorful chemicals. One must also take care of hands and nails. So, to make sure that your nails stay protected, paint them in vibrant colors which also in a way reflects the mood of this wonderful festival. 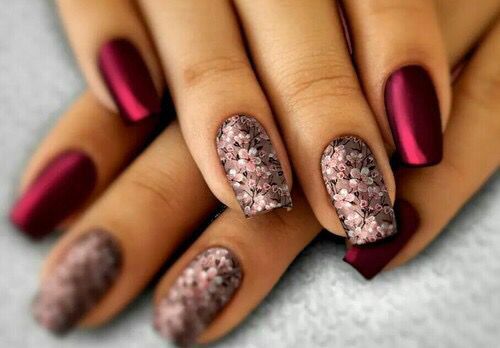 Zuri brings to you 22 stunning and latest nail art designs to flaunt this Holi. So, get creative and wear a vivacious splash, more like a color burst on your nails and celebrate Holi in style. 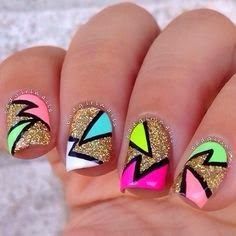 You can draw cartoons on your nails for a bit of a quirk or go for a regular drawing which is usually done with brushes, sticks (read toothpicks available at home) and needles. The nail art brushes are easily available and they come in different sizes and shapes. Some of the most frequently used brushes include dotting brush, striper brush, large round brush, angle shaped brush, flat brush and fan brush. 1. 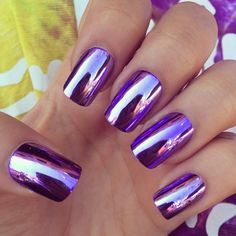 When purchasing nail glue, go for a good quality product. The real purpose of nail glue is that it keep the nail laminates intact and a superior glue is the one with an ultra-thin laminates, which saves time and prevents you from having to spend hours shaping the edges. 2. Make sure that your real nails are trimmed, the cuticles pushed back. Zuri recommends you apply an anti-fungal cream at the discolored area. 3. For a bit of a jazz, opt for graphics, geometrical shapes and line, or holiday-themed decals. If red is your color, and Christmas is your favorite time of the year, indulge in green Christmas tree with white snowflakes. So, add green leaves and white flakes decals to your bright-red colored polish. You can also sprinkle in a layer of silver glitter dust or an artificial gemstone. For Holi, experiment with colors, go for easy water marble technique using multiple colors. 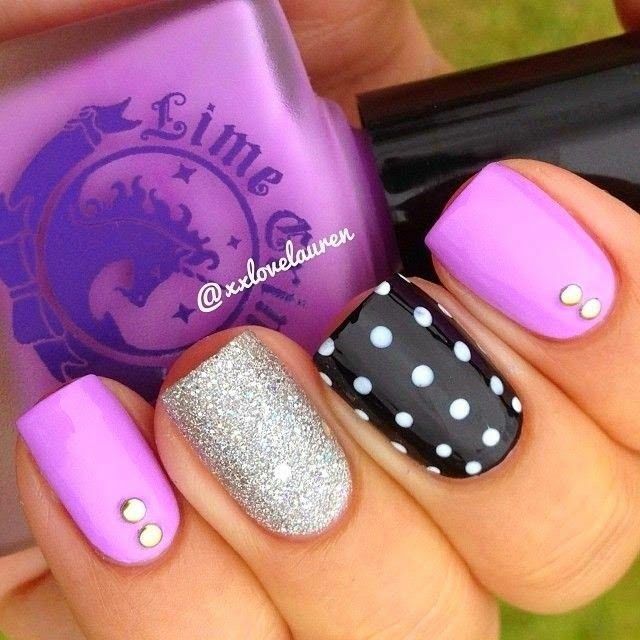 Paint your nails in dark shades. This will also protect them from harsh chemicals. Don’t forget to apply Vaseline on the edges. This Holi, celebrate in style and sport your favorite nail art design from this collection of super lively and bright nail art designs.